SAN JUAN — Two spots on the city commission are up for election this May, and incumbent Commissioner Pedro “Pete” Garcia faces two challengers, one of whom is running on a slate with incumbent Commissioner Leonardo “Lenny” Sanchez. As of Tuesday, newcomers Marco “Markie” Villegas and Fernando Castillo had filed paperwork to run for office against Garcia, the Place 5 incumbent. Sanchez, so far, has no opponent for his Place 4 seat. Friday is the deadline for candidates to apply for a place on the ballot. Garcia, 60, is seeking a second term in office and said he wants to “continue the progress in San Juan,” adding he has worked to pave city streets and beautify San Juan during his first term and would focus on bringing in new businesses if re-elected. Villegas’ bid for the Place 5 seat is his first run for office. 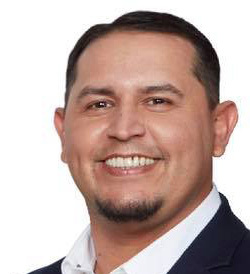 The 43-year-old works as a history and economics teacher with the Pharr-San Juan-Alamo Independent School District, where his father, Carlos G. Villegas Jr., is a board member. “I want to help put San Juan on the map by attracting new businesses, residents and becoming a destination city for tourism and economic development,” he said in the release announcing his candidacy, which noted he is running alongside Sanchez. 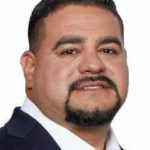 Sanchez, 43, has been in office for a little over a year since he was elected in January 2018 to fill the remainder of Place 4 Commissioner Raudel Maldonado’s term after Maldonado stepped down to unsuccessfully run for Hidalgo County treasurer in the March 2018 primary. Sanchez is employed as an investigator with the Hidalgo County District Attorney’s Office and previously was a commander in the Palmview Police Department, according to the release. “Both candidates look forward to working together to bring economic development, infrastructure improvements, and quality of life opportunities to the community,” the release read. 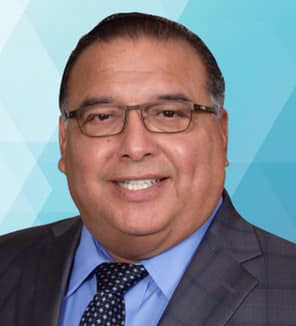 Garcia, the commissioner, is no stranger to running against Castillo, who he unseated for a place on the PSJA ISD school board, serving eight years until he lost his re-election bid in 2012. Castillo, 65, served as superintendent of the Progreso Independent School District before his retirement in August 2014. The district came under fire during his tenure when the Texas Education Agency appointed conservators to oversee the district in February 2014 following an investigation into corruption by former trustees and mismanagement there, according to Monitor archives. Castillo was a professor of education at various Texas universities and currently runs a consulting firm focused on education. If elected, he said he would prioritize industrial and economic development in the city in order to create job opportunities for San Juan residents who work in neighboring cities, like McAllen, which have more high-skilled jobs. Early voting runs from April 22-30 and Election Day is May 4.